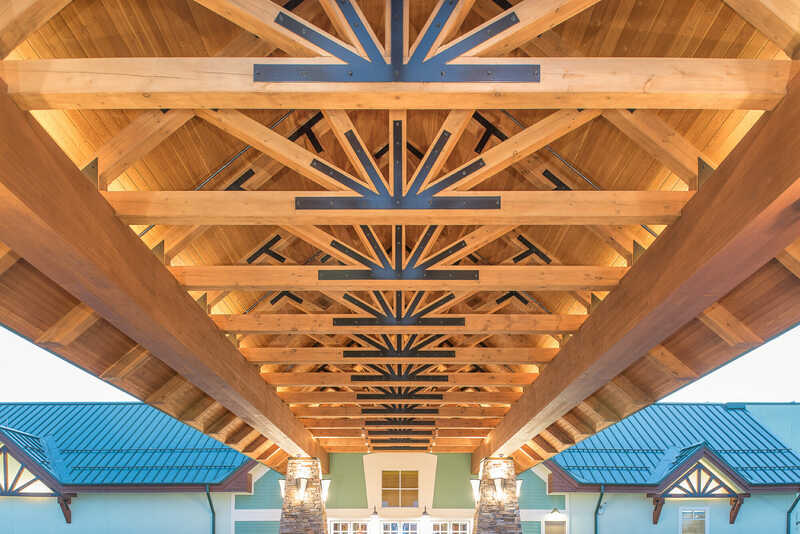 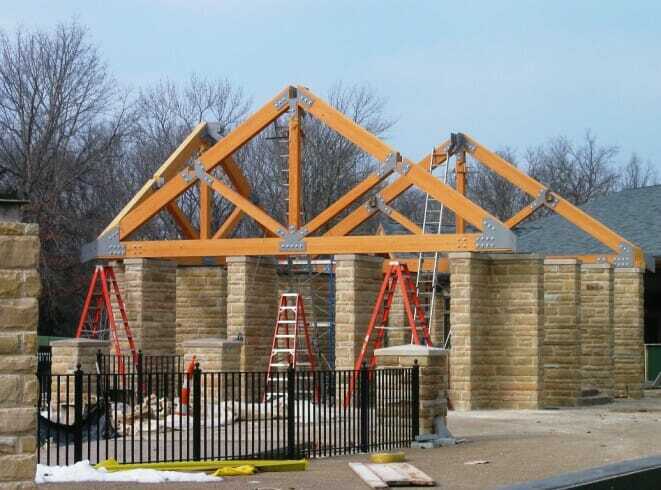 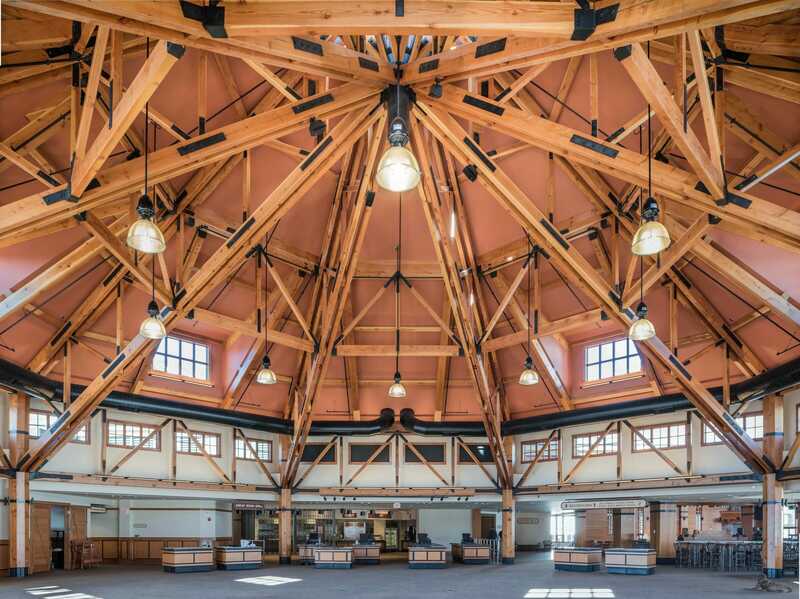 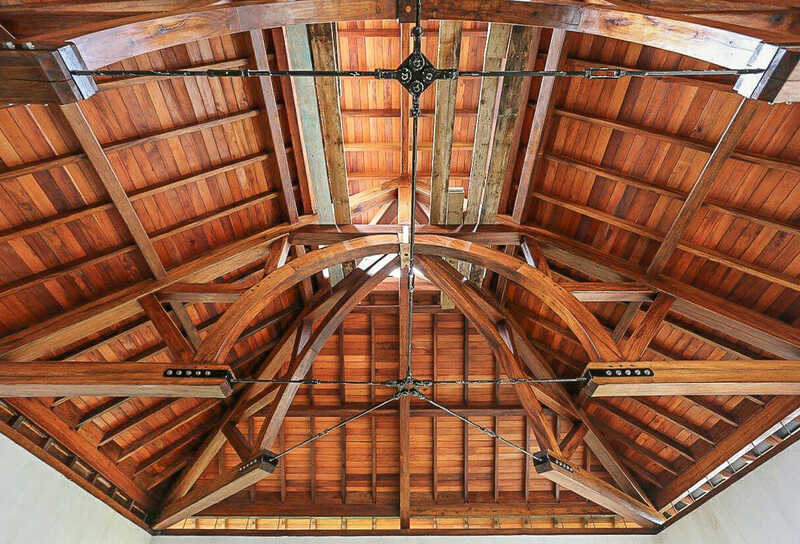 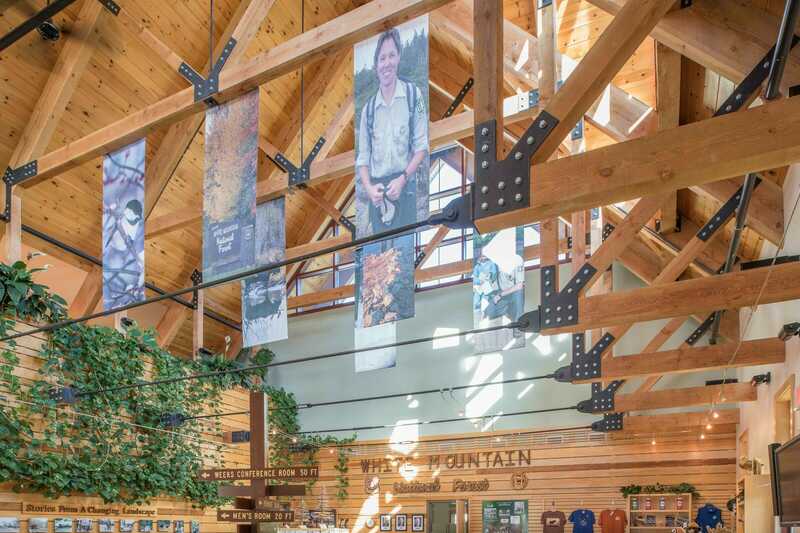 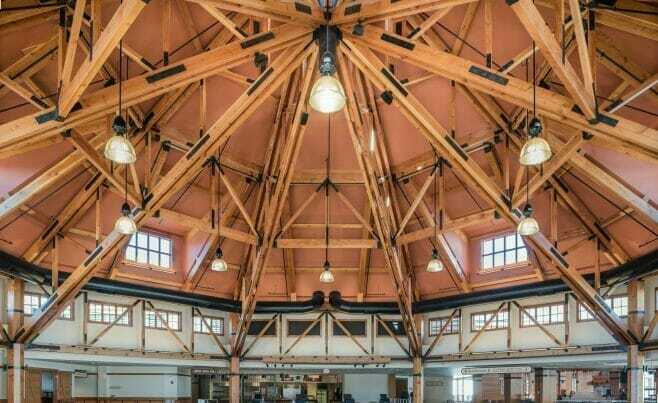 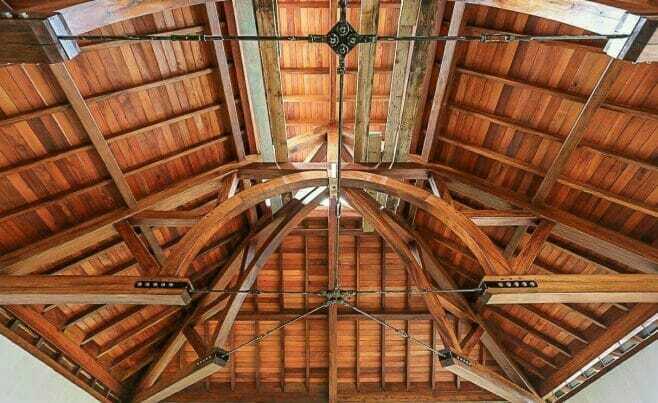 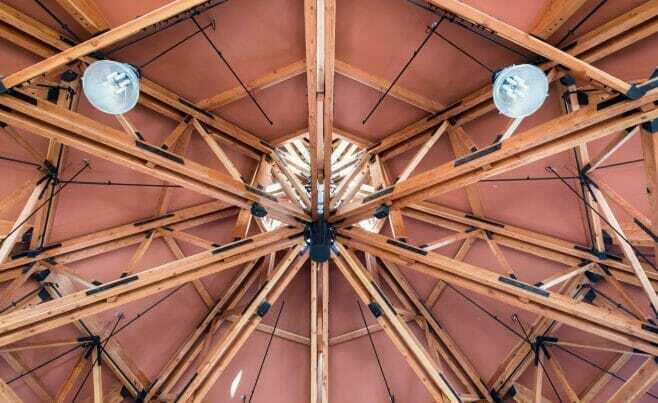 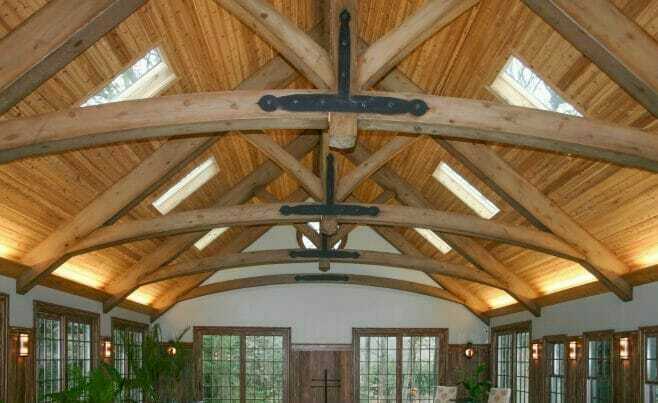 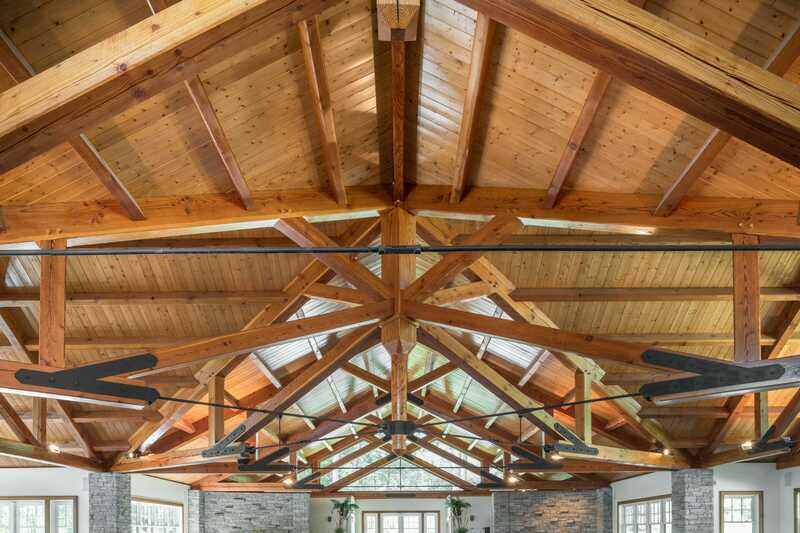 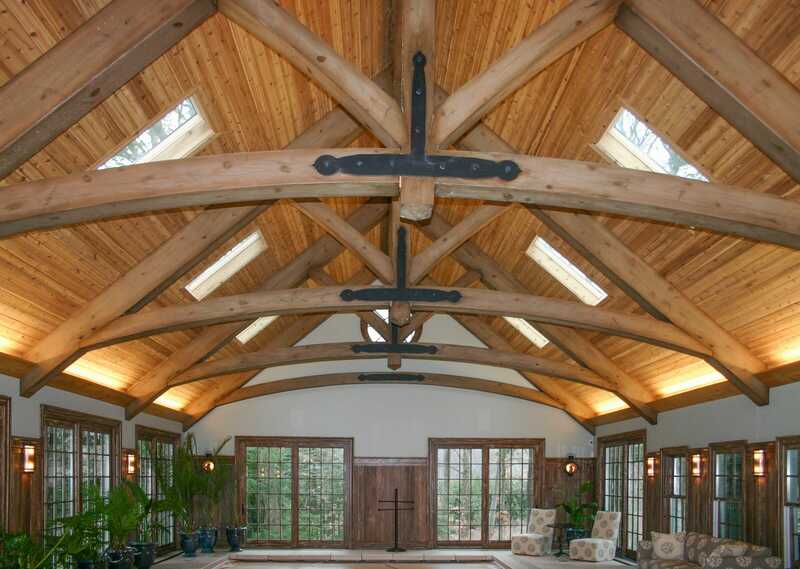 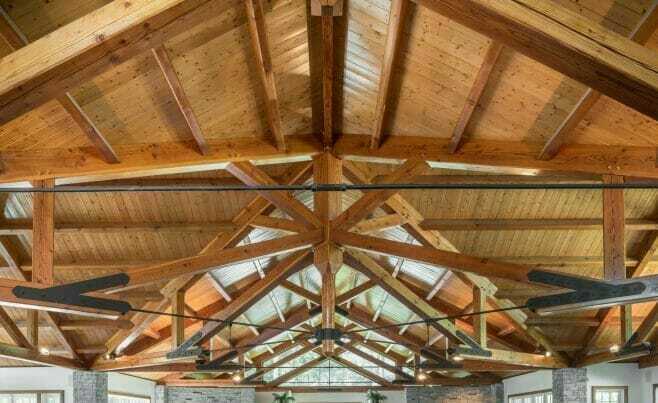 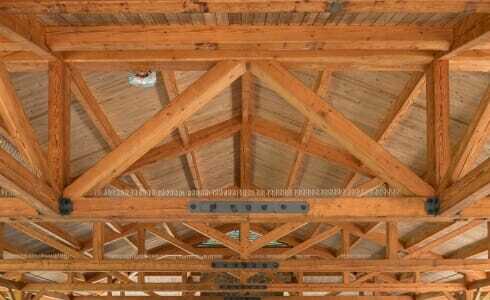 Steel Connected Trusses are often used in commercial timber frames. 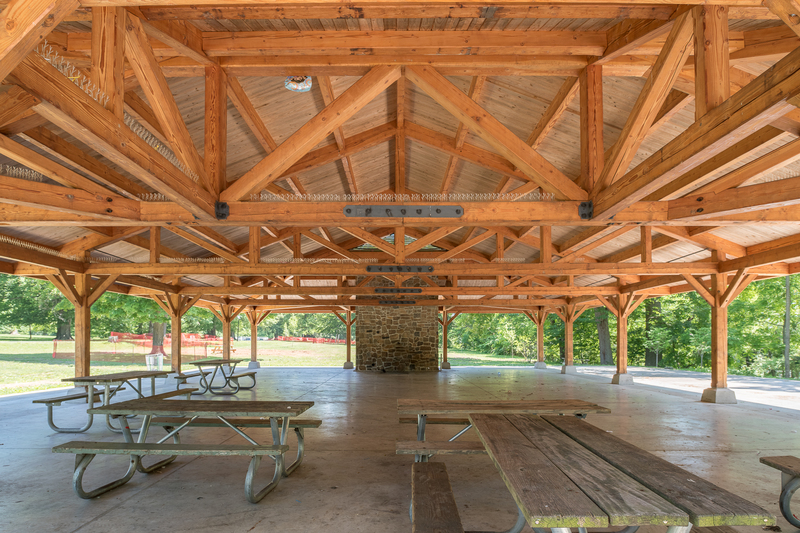 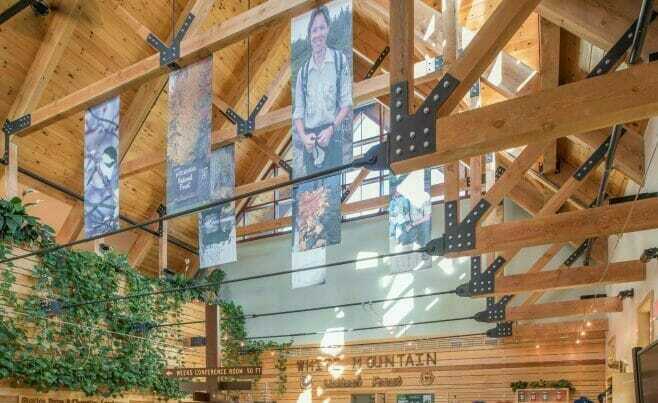 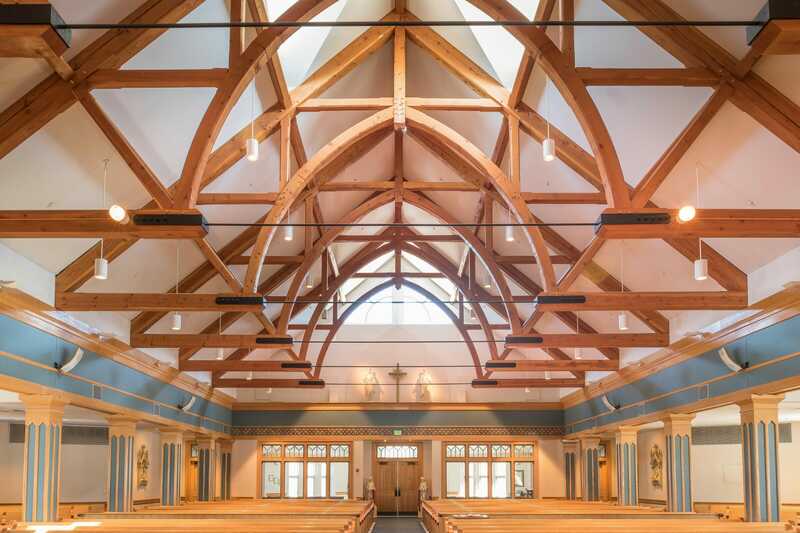 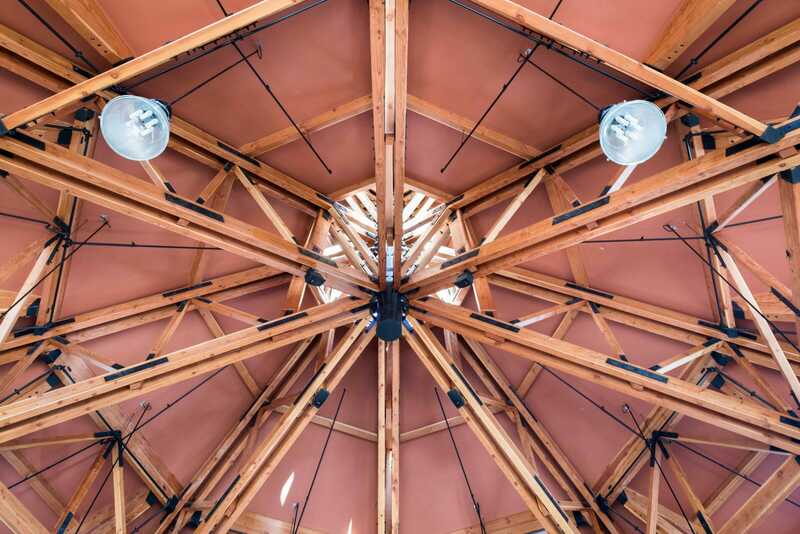 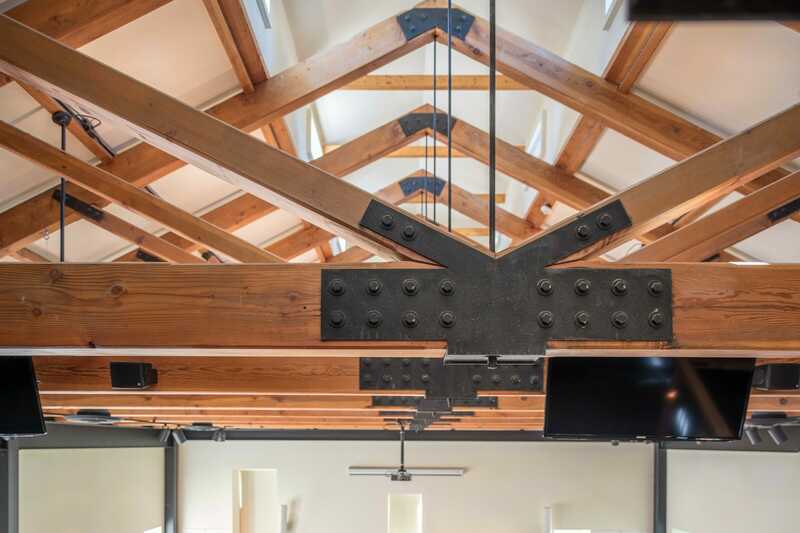 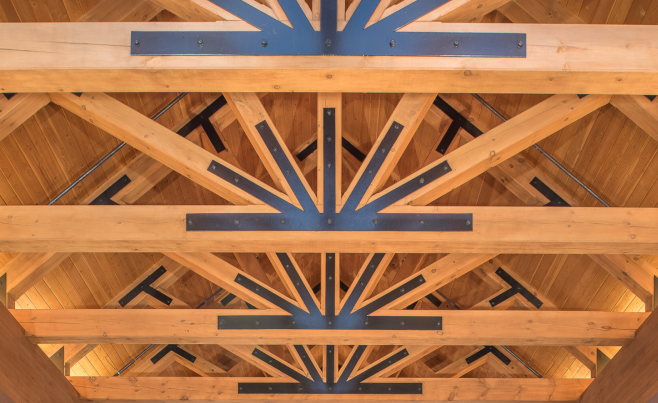 The steel adds an aesthetic to the truss that is reminiscent of old factory buildings and also offers additional structural support, which allows for trusses to carry heavier loads and span wider distances. 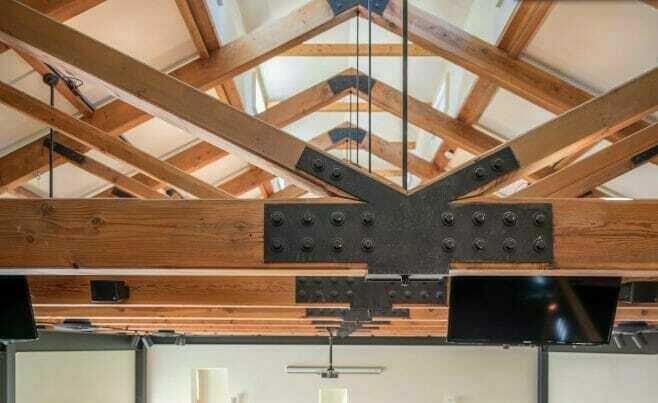 Flat gusset plates can be used that are bolted onto each side of the truss, or custom steel boots can be fabricated for unique design conditions.